A 10.1 inch matte-panel, weighing in at just 1 kg and very slim; such are the principal characteristics of the Samsung N230 Slim which lives up to all our expectations of a netbook. Slim and light, the Samsung N230 Slim scores more points for its size than its overall look. The big advantage is you can tuck it under your arm and carry it anywhere with you. You will however need to make sure your battery is charged as it won't give you a full day's worth. Despite the premium it demands, Samsung's N230 suffers from a slightly sub-par screen and its keyboard is average at best. However, in most other regards it's a good effort, with innovative software, stylish design and class-leading battery life going some way towards justifying the outlay. All-in-all the N230 is a great little netbook. Samsung hasn't gone about reinventing the wheel here, but it gets the basics or portability and usability right, which is ultimately all you can really ask from a netbook. 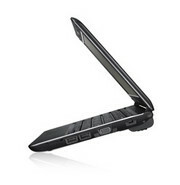 The shiny lid and large battery aren't a big deal, and certainly shouldn't effect your decision when it comes to buying a netbook. 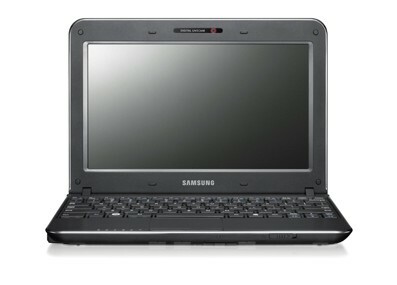 The Samsung N230 isn't without its flaws and there's little to tempt existing netbook owners if you're happy with your current model. For new netbook owners though, the N230's slender and sturdy build, long battery life, comfortable keyboard and reasonable price make it a great buy. Although we expect new netbooks equipped with faster dual-core Atom processors to be released in the coming weeks and months, they're likely to be more expensive than the N230. 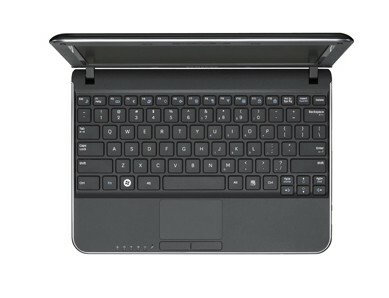 A decent netbook needs long battery life, a well-designed keyboard and low price-tag. Samsung certainly succeeds in terms of keyboard and battery, although the price tag of £349 is on the high side. However, you're always going to pay a bit more for a stylish and well thought-out design, and in our minds it's worth the extra money. Although the N230 thoroughly deserves its Recommended award, prospective buyers may do well to hold off for a few weeks until judgement is passed on the new wave of dual-core Atom N550 netbooks. With excellent battery life, a top-notch keyboard and a stylish design, the only factor holding the N230 back is its high price tag. 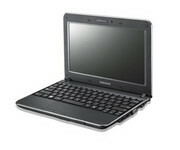 It builds on the success of their popular N210 / N220 netbooks, and has only been available for a very short while. My Samsung N210 review was very popular with over 65,000 views and 100 comments, and is currently my netbook of choice, so I have very high hopes for Samsung’s latest ultra sleek model. In fact, this Samsung N230 is so good I will add it to my list of best 10 inch netbooks. Can't say if it surpassed the NB305 in my list of preferences just yet, I'll wait to test it live first, but It's definitely up there, and because of the better battery life, it surpasses the EEE PC 1018P.